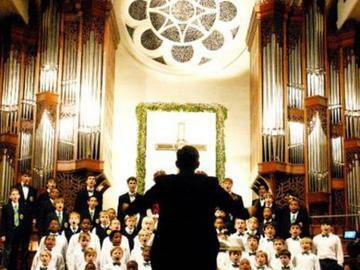 The Georgia Boy Choir’s most anticipated event of the year! Christmas With the Georgia Boy Choir features all five levels of boys, a full orchestra, and lots of audience participation including Atlanta’s largest “Twelve Days of Christmas” sing-a-long. Children under five will not be admitted. There will be on-site Christmas party for children under five courtesy of Elegant Event Sitters for a fee of $12. To participate purchase a Children's ticket for your child and visit http://www.eleganteventsitters.com to register.